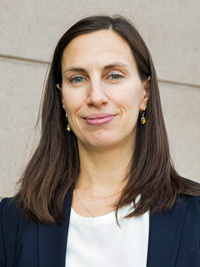 Jo Field is the founder and managing director of JFG Communications, a boutique agency specialising in stakeholder engagement, public affairs and gender diversity for the transport and infrastructure sectors. Before this, she was Head of Campaigns, Communications and Engagement at Transport for London. A passionate campaigner for diversity, Jo is a Women in Transport board member. She was named FTA Everywoman in Transport and Logistics Industry Champion in 2016 and was a finalist in last year’s Global Equality and Diversity awards. Women in Transport is a not-for-profit that empowers women to maximise their potential. We are an independent professional network that showcases the diversity of careers in transport. We provide access to senior decision makers and support the professional development of women working in transport. I’m a Women in Transport board member, heading up strategy and policy. This involves setting our policy direction and providing strategic advice to Government, Parliament, industry and beyond on gender issues in transport. 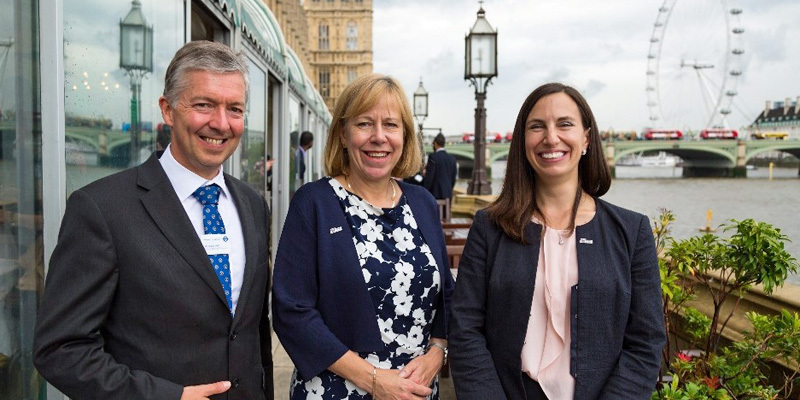 The main part of my work for Women in Transport involves acting as Secretariat for the All-Party Parliamentary Group (APPG) for Women in Transport, chaired by Ruth Cadbury MP. Women in Transport rebranded last year and this has been hugely important in raising our profile. Our new name clearly explains what we’re about, and we now have over 10,000 followers on Twitter. We’re growing our membership all the time and receiving requests to be involved from all over the UK. The challenge now is how we meet the demand. We’re a volunteer led organisation, with all our services delivered by 16 volunteers and just one part time member of staff. We rely on support from corporate sponsors to enable the professional development of women across the sector. We built support from parliamentarians from across the political spectrum and worked with them to set-up the All-Party Parliamentary Group (APPG) for Women in Transport. The group was first launched in 2016. It is the first time there has ever been a cross party group to tackle women’s under representation in the transport sector. We continue to provide secretariat support to the All-Party Parliamentary Group. This means we work with the MPs and Peers in the group to plan and support their programme of meetings and events in Parliament each year, including their annual general meeting. The purpose of the All-Party Parliamentary Group is to provide a forum to discuss and overcome the under-representation of women in all sectors of the transport industry. A key part of this is promoting best practice examples of employers leading the way on gender diversity. The group also aims to provide a programme of events aimed at giving women the right tools to advance their career, develop professionally and maximise their potential. Women in Transport is an open and inclusive organisation. Men and women are welcome to join. We believe that by working together we can promote a diverse and strong transport workforce that supports UK growth. Last year, we welcomed our first male board member – Neil Pepper MBE from Transport for London, and we’ve just welcomed our newest male ally on board – Iain Smith, CEO of Network for Skills. We were delighted when Mark Wild, Managing Director of London Underground, recently agreed to be our patron. Our All-Party Parliamentary Group events have always been well attended by men and women, including at senior levels, from across the transport sector. It would be great if Womanthology readers would join Women in Transport and support our mission. We’d welcome suggestions for topics the All-Party Parliamentary Group should focus on. In the autumn we’ll be discussing priorities for next year with the MPs and Peers on the group and we can discuss the suggestions with them. You can sign up to become a member of Women in Transport or receive more information at http://www.womenintransport.com. We’re organising an afternoon tea reception at the Houses of Parliament to mark International Women in Engineering Day and the Year of Engineering. The event will bring together leaders from across the transport sector to celebrate women in engineering and consider how we inspire the next generation. Chair of the All-Party Parliamentary Group, Ruth Cadbury MP is hosting the reception. And we’re delighted Nusrat Ghani MP, Parliamentary Under Secretary of State at the Department of Transport, has agreed to give the keynote speech. We’ve partnered with the Women’s Engineering Society (WES), founders of the INWED campaign to hold the event, and it is supported by TXM Recruit, Engie and Hitachi Rail Europe. We need to continue raising the issue of women’s under-representation with Government and Parliament. We also need to continue encouraging the industry to keep pressing forward with its efforts to tackle gender inequality. We’re starting to see positive results but there is still more work to do. That’s why it’s great to see Women in Transport continue to gather momentum. We’d love Womanthology readers to get involved and help us continue to campaign for gender balance. Please sign up on our website or follow us on Twitter.